Bespoke furniture maker Stewart Linford creates innovative designs, delivered with exceptional quality and service. He creates the highest quality hand crafted bespoke furniture in wood. Furniture restoration and repairs are also offered, and of course his unique polish needed to care for each piece. Dealing directly with the designer offers the best value for such quality, and ensures you receive exactly what you want when you want it. 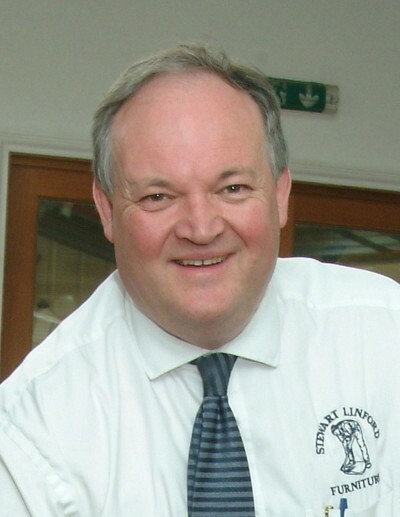 Stewart Linford’s passion for woodwork started at school, he studied furniture making and wood science at High Wycombe College in the early 1970s. His final year thesis contributed to his life-long adventure testing the boundaries of what can be achieved in timber. His first workshops were set up in 1976 using old farm buildings on the edge of Little Kingshill village, five miles from High Wycombe. Stewart’s reputation for quality soon spread, increasing demand necessitated a move seven years later in 1983 into the heart of the historic furniture making town at Kitchener Works . The home market was the mainstay of growth with international business flowing in from Japan, North America and various tax havens around the world. Among the many accolades bestowed was the Queen’s award for enterprise as a result of extraordinary achievements by the workforce of 42 in 2003. Thousands of clients served include: Harrods, The National Trust, The V & A and Geffrye Museums plus celebrities and noble families around the world. In 2014 Luxury In Wood was formed with the whole team moving to larger newer premises, sharing with long established upholstered Sofa and chair makers in High Wycombe. Since 2016, Stewart chose to divide his time between teaching future generations the skills of furniture making, and providing his unique design consultancy.